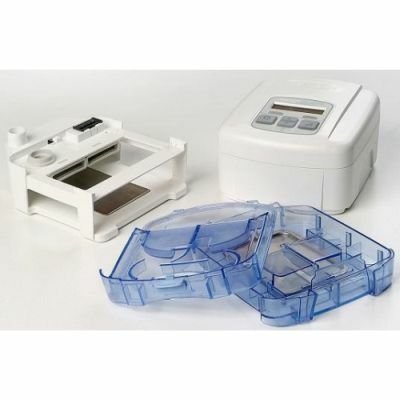 DeVilbiss SleepCube BiLevel S is a variation on traditional CPAP. Instead of providing air at a constant pressure all night, the machine senses if you are breathing in or out and it then varies the level of pressure accordingly. On inspiration a higher pressure is needed to prevent apnoeas, hypopnoeas or snoring. On expiration a lower pressure is adopted to ensure patient comfort with less resistance. Often seen as the luxury CPAP device option, BiLevel Therapy senses if you are breathing in (IPAP) or breathing out (EPAP) and changes its level of pressure according to the prescription determined by your sleep clinician. 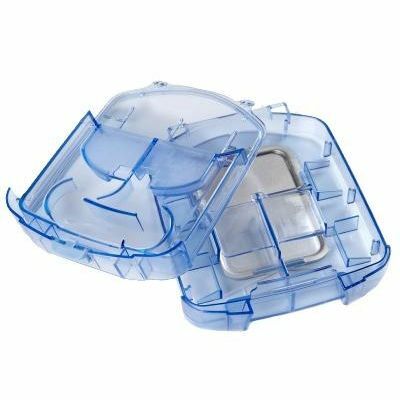 It is considered a more comfortable option for the CPAP user, especially those requiring higher pressures throughout the night. It is particularly useful for those who are struggling to sleep on traditional CPAP therapy, as it is not delivering a fixed pressure all night long, instead offering an incredibly tailored therapy to your unique, individual needs. Supplemental oxygen can be added to the CPAP therapy with the optional oxygen therapy (available to order separately) or if the mask is equipped with an oxygen port directly to the mask. How Does BiLevel Therapy Work? The SleepCube BiLevel S includes a trigger. This trigger is a mechanism which detects when the user of the BiLevel machine is breathing in or out. There will be two predetermined settings before you start your therapy. Once is the IPAP setting (inhalation) and the EPAP (exhalation). When in use, it will either increase pressure to predetermined IPAP setting or decrease to the EPAP setting. The SleepCube BiLevel S has the ability to alter the sensitivity of the trigger (on scale of 1 – 10). Features the patented technology from DeVilbiss: Flow Rounding. Flow Rounding enables a smooth transition from inspiratory pressure (IPAP) to expiratory (EPAP). The SleepCube BiLevel S includes large slip resistant pads on the bottom of the unit minimise movement on the bedside table during the night. Patient air tubing extends from the back of the unit to enhance visual appeal. Integrated heated humidification systems (available to order separately) easily docks onto the bottom of the unit without requiring a separate hose or power cord. Real-time display LCD shows: actual pressure, leak rate and patient breathing parameters such as breath rate, I/E ration, minute volume and tidal volume. Are you looking for more detailed patient therapy management? SmartLink module and software is also available to order. 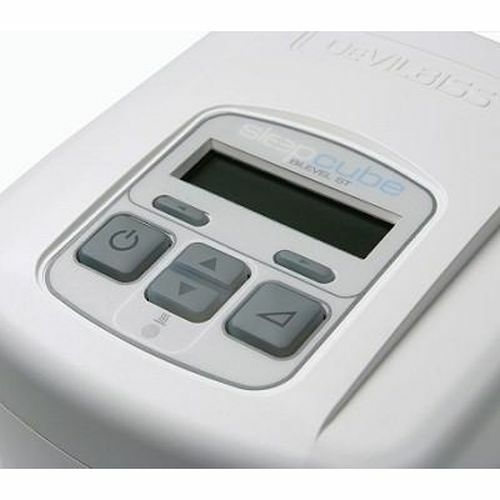 The DeVilbiss SleepCube BiLevel S has a 'Soft Start' feature: this permits the patient to acclimatize to the pressure after the unit is powered on. *Integrated heated humidification system easily docks onto the bottom of the unit without requiring a separate hose or power cord. (Available to order separately). If you would like any additional information regarding the SleepCube BiLevel S, please contact our Customer Care Team on 020 7720 2266 or alternatively via our Contact Us page on our website.